This was a do or die game for both sides and it showed in the opening minutes with Bandon causing numerous problems in Castletroy’s half. Luckily for the Limerick side, Bandon’s Soren Minihane missed a penalty kick from in front of the posts to relive pressure. Castletroy then overcame this period with great defense and some excellent territorial kicking via out-half Sean Madden. From here, momentum shifted in Castletroy’s favour as Luke Callanan made a break down the wing before passing it to Cian Fitz who got tackled before he reached the corner. However, this setup a line out on Bandon’s five which they didn’t clear and Castletroy were able to get a five metre scrum out of it. Having failed twice from the scrum it was third time lucky for the blue and green men with Captain Ronan Keavney getting over the line to make it 5-0 (Conversion Missed). The first half ended quickly after that as Castletroy ended comfortably although missing a penalty aswell. Bandon came out very strong in the second half and Eoghan Guinevan scored in the corner to tie the game up as the conversion was missed. 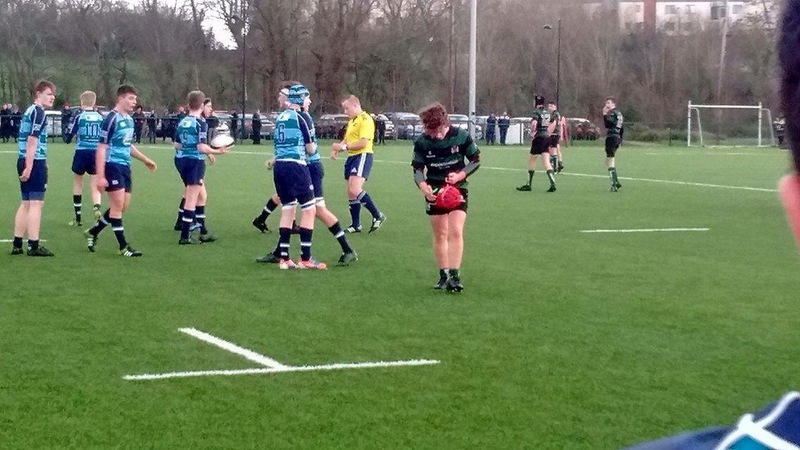 As the game went on tensions began to rise between the two sides and try scorer Guinevan received a red card for a blatant kick on his opposite number James Coates. Castletroy were unable to get in for a try as Bandon defended excellently and cleared away the ball. Castletroy were also unable to keep their tempers in check with Flanker Cian White receiving a yellow card. 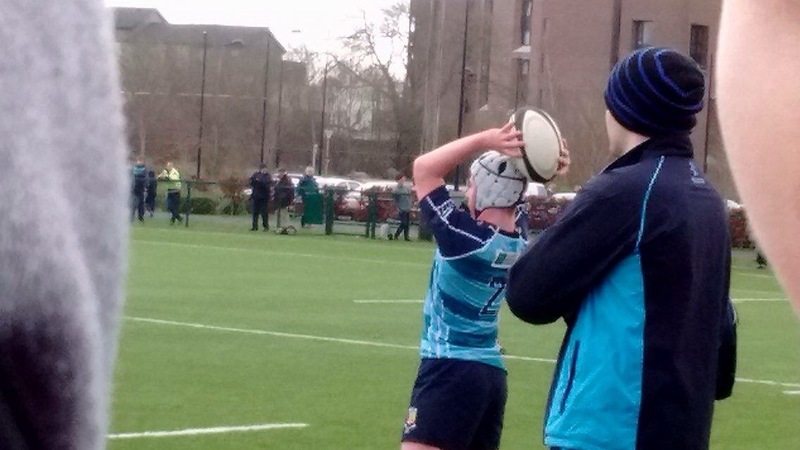 The numbers didn’t stay even for long as Bandon prop and Captain Michael Archer received a yellow card meaning Bandon would have to finish the game with 13 men. Castletroy became unrelenting with pressure for the last few minutes but Bandon didn’t let the Trojans in. 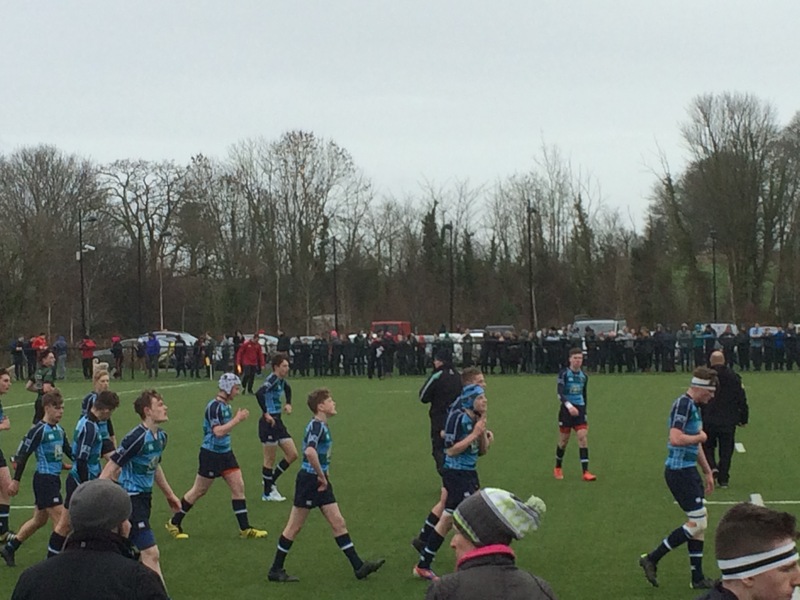 However Bandon were unable to score themselves so Castletroy go through to the quarters having scored the first try. 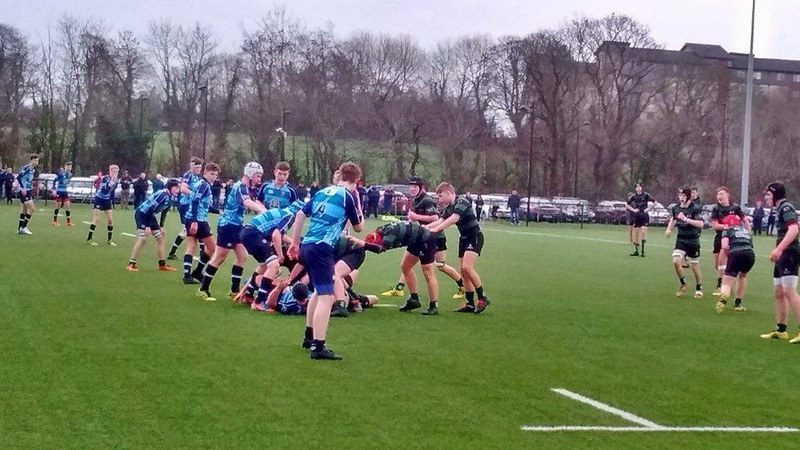 In reflection, it was not the highest scoring game but kept spectators gripped to the end with big tackles, plenty of try scoring opportunities and flared tempers. We wish condolences to the unlucky men from Bandon and the best of luck to CTC in the next round against Crescent.